Plastic and steel-reinforced construction trucks with pull handles for scooping and dumping action, easy grip protective edges, and available in two styles. 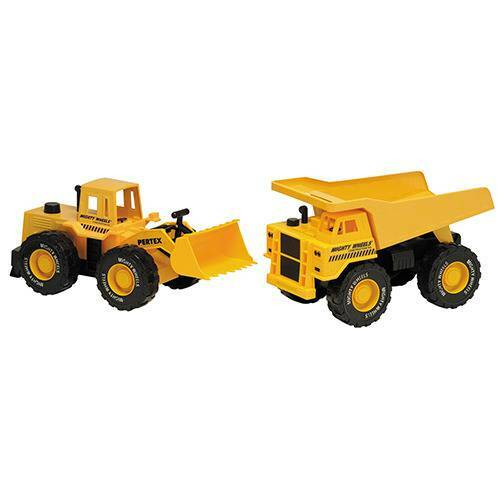 Includes Front Loader and Dump truck that measures 15" L. x 8 ½" W. x 9" H. Ages 3 yrs. +.